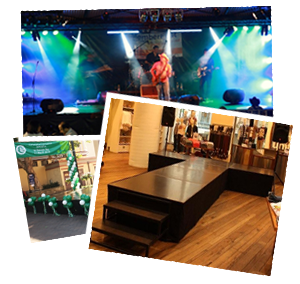 The stage hire services we provide are second to none. With over 100 years of collective experience you can expect expert advice and service. Top of the range JBL Speaker Hire. 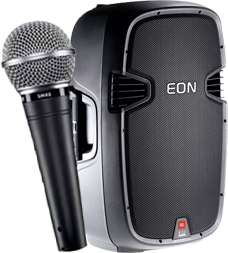 400w portable speakers, 1100w concert speakers and 1600w subwoofer. Speakers for all occasions. Lighting hire for all events. Top brands at affordable prices. Disco lights, concert light, LED lighting & party lights. Microphone hire for all occassions. 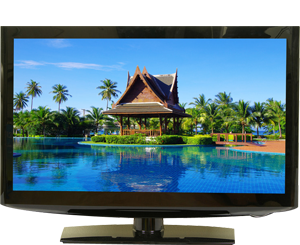 You can pickup, or order delivery and installation, and hire a technician to look after the whole event. Plasma, LCD, Laptop & Projector hire. Sizes from 42″ with pickup and delivery available. We do what we promise. Every time. WEW has been in business for over 27 years and have more than 100 years of combined experience. Large or small; easy or complex. You tell us how you want it and we’ll make it happen. Providing accurate information on products and services. Delivery on time every time. Creating the best impression for your event means having the right team behind you. WEW are based in Sydney NSW, with service in Central Coast, Blue Mountains and Wollongong. Our professional operators can put your complete production together the right way with attention to detail and a cool head under pressure. With an emphasis on customer focus we help you meet your event budget, stage hire, lighting, and AV requirements. Indoor, Outdoor, Mobile, Portable, Delivery and Rental Prices… Easy. 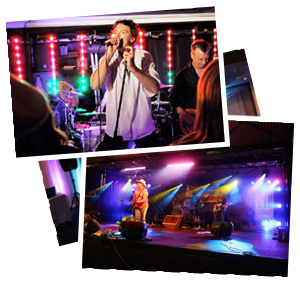 WEW have extensive experience in stage hire Sydney, Audio Visual, Speaker hire Sydney, Sound System, Staging, Video, Lighting and PA hire, with DJs in all fields including Video DJ. From Sydney and Central Coast, to Wollongong and the Blue Mountains, we have the staging you require to create memorable, smooth production events. Delivery to Sydney and surrounding areas. Whether it’s a simple microphone rental, visual AV or sound system for ipod or laptop, portable stage, corporate event hire, mobile party gear, a birthday party, a kids school disco, club function, fete, a mobile stage truck, dance floor, tiered seating, or outdoor rock concert, WEW have the equipment and expertise available to ensure your event is successful. WEW have over 100 years of collective experience in stage hire and event services. With delivery provided to Sydney and surrounding suburbs let us assist you in making your next event a success. We have wet weather covered, large outdoor mobile marquees or the mobile stage hire truck to cover your event. There are so many pricing variations for all different sizes. Choose from 3m 6m 8m and 10m wide marquees. Hire our first class JBL outdoor PA system, lighting, vision, generator power suitable to power your whole site, with production staff. WEW Pty Ltd operates under a Certificate of Currency for the provision of entertainment and special events liability insurance.